Can you identify these people and places? Photograph taken at Peckfield Colliery about 1960. Update. After 7 years we have found what we think is the property (which has changed considerably in the 90 - 100 years) However we have lost contact with Kathleen Kronk, who had a Freeserve email address. Freeserve and its successor,Orange. have closed in the meantime. If anyone knows the whereabouts of Kathleen Kronk please let her or us know. 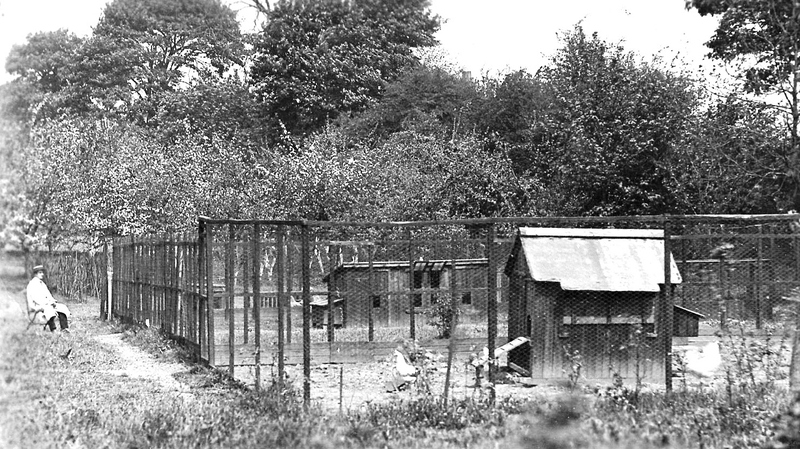 Kathleen Cronk came across these photographs while searching through old family photographs labelled "Barwick". She says that the people might be called Holdsworth. 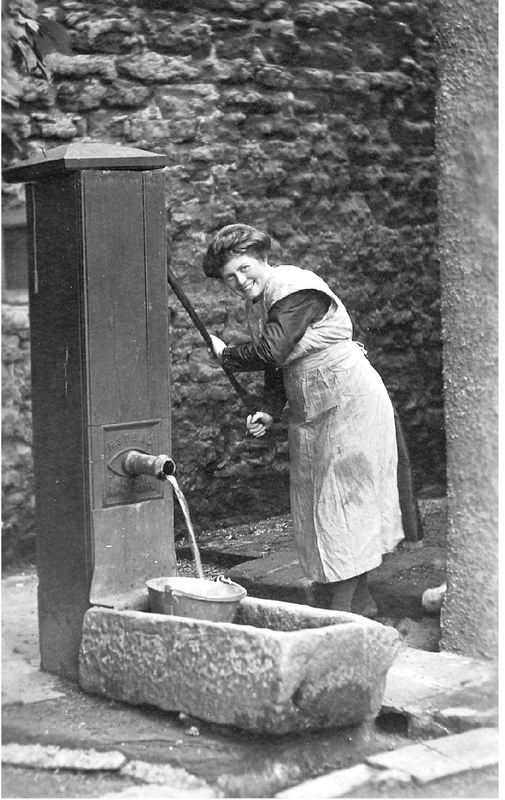 It looks as if the photographs were taken in the 1920's. We would like suggestions as to who the people in the photographs might be and where the photos have been taken. 1. Where is the pump and who is the lady? The entresol window may provide a clue as it is likely to still exist. 3. With such a clear photograph recognition should be easier. They are dressed as visitors and may not live in Barwick. 4. The orchard is probably the one in the photo above. 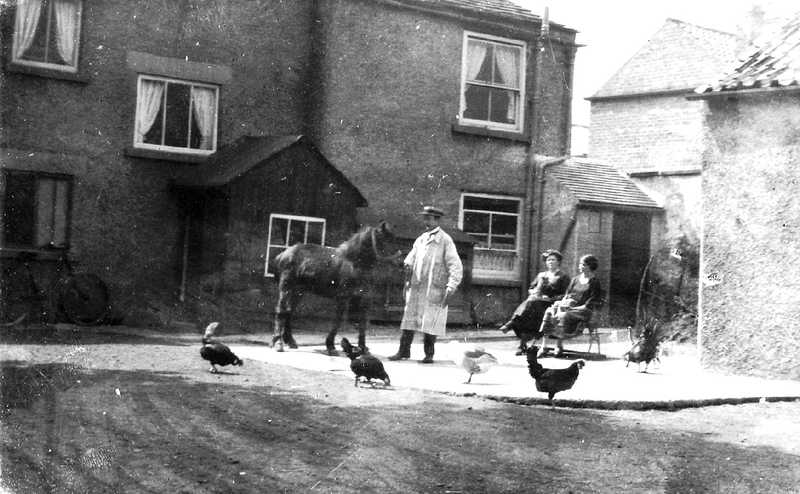 The seated man is probably the person in the second photo holding the pony, in which case the farm in the second photo had an orchard and a substantial poultry business. 5. The two older subjects are in No. 3. Who is the young man? 2. 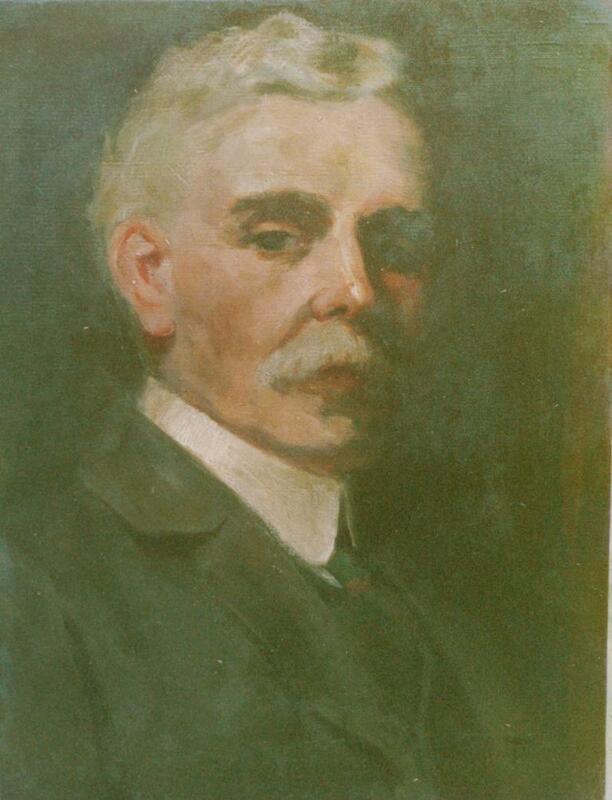 Portraits of "local worthies"
The portraits were painted by Heather Walker (née) Young, mother of Heather Walker of Aberford. 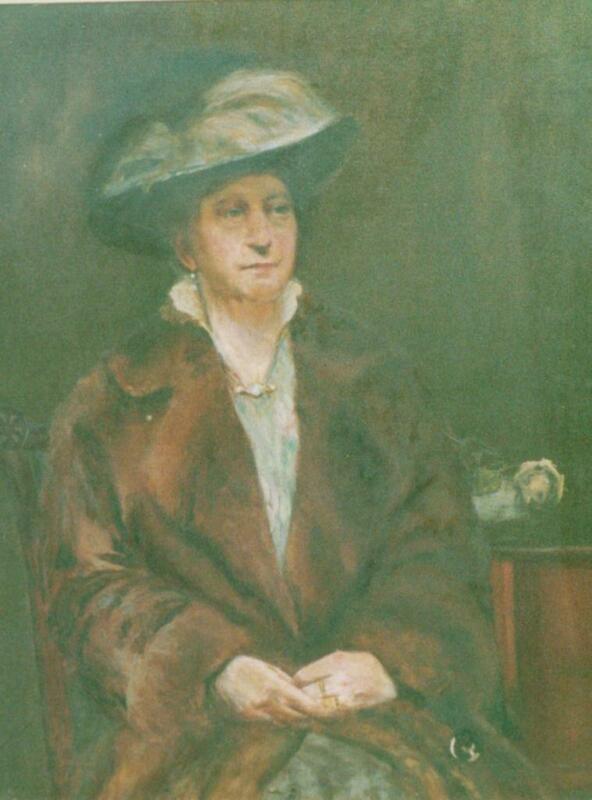 Heather's mother was the pupil of Ernest Forbes, who is known to the society as one of the prominent members of "Attic Abode". Unfortunately Heather's mother never passed on the identity of the three "worthies" whose portraits these were. We would like to know if someone identifies any of the three subjects. The paintings were probable painted at about from the end of the First World War into the twenties. 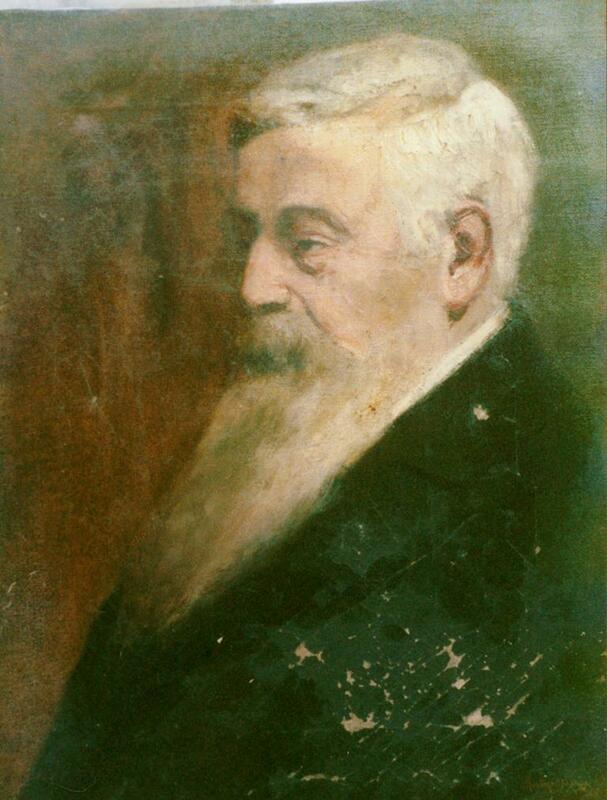 We have been asked to assist some research into the Gascoigne family during their presence at Lotherton Hall. 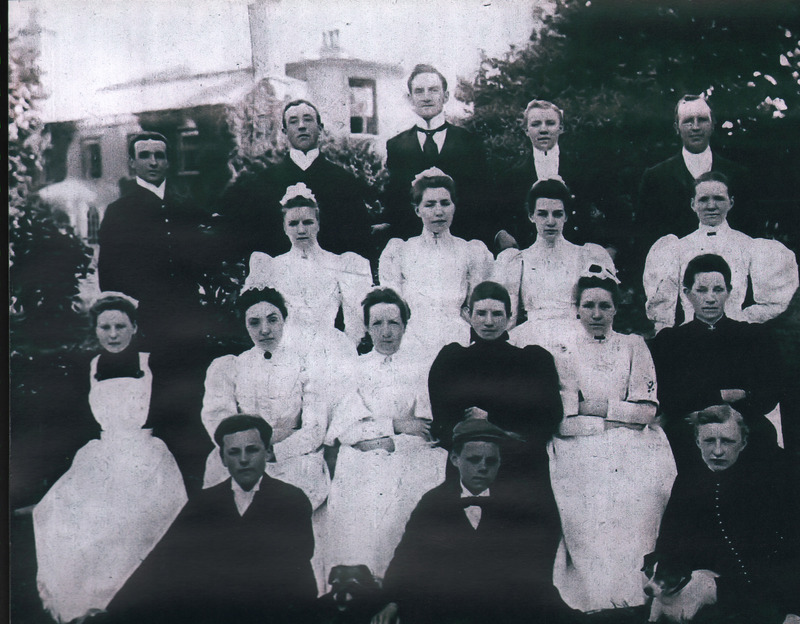 Here is a photograph of the domestic staff at the hall. 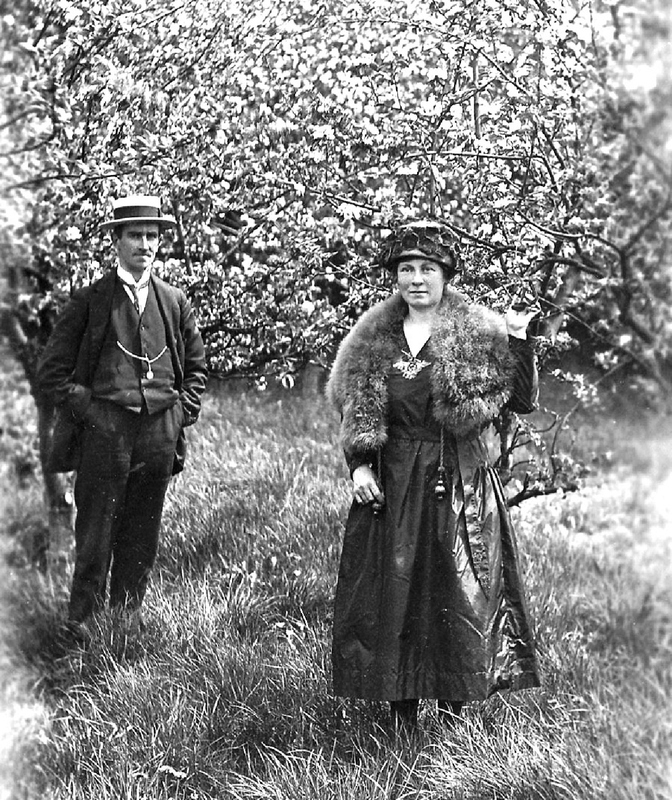 We know the photo must have been taken prior to 1905 when the Drawing Room extension was built. Do you know any of the staff and more precisely when the photograph was taken? 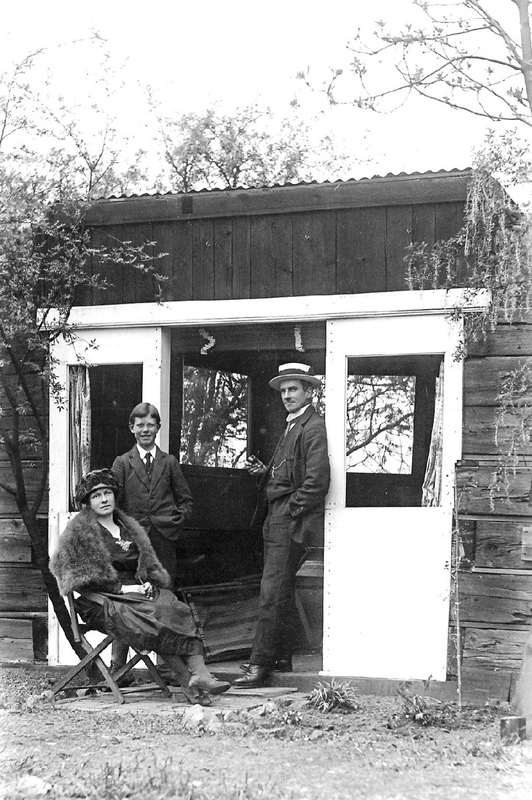 Photograph of the Fawcett family at "Wendhill", The Boyle. Do you know ant of the others in the photograph. We are grateful for receiving the photograph and information on the identified people from a descendant living now in Australia. 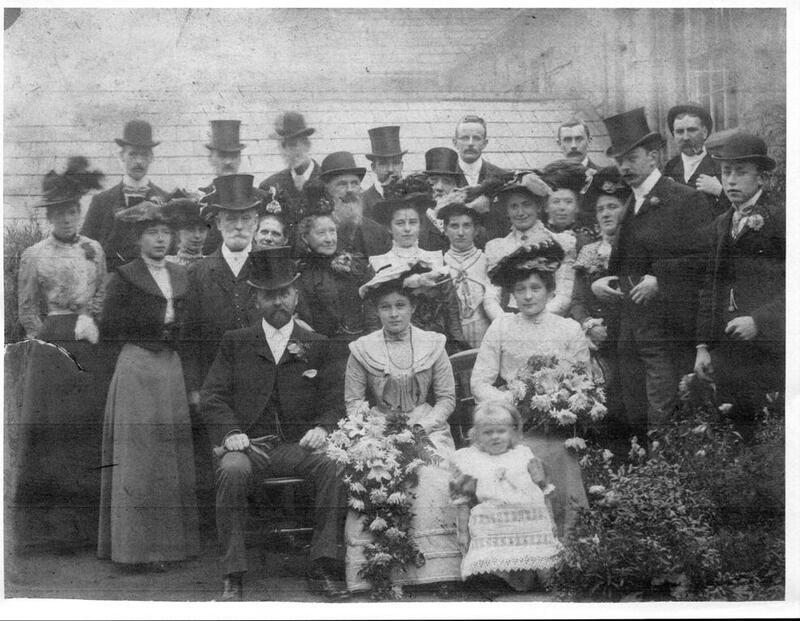 Taken in about 1900-10, this photograph has been sent to us by Margaret Saunders, a descendent of the Barwick families of Perkin and Lumb. Unfortunately Mrs Saunders has no knowledge of whose wedding it was. Can anyone identify any of the people in the photograph? 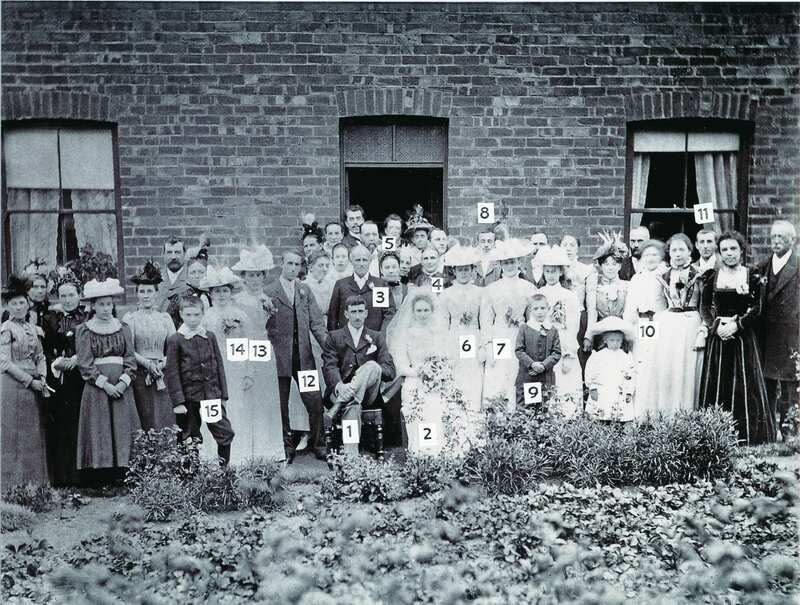 If you can identfy the place or any of the 26 people in the photograph, let us know. Photograph taken of Billy Cockrem & "? Robson"
Help us to identify "? Robson" and to verify if it is engine No. 1 or No.2. I enclose a picture of my uncle Billy Cockrem (33, Chapel Lane) taken at Peckfield Colliery (Micky Pit) about 60 years ago. Uncle Billy is in the cab, and I've been trying to remember his friend's name for ages. Today, the name of Robson came into my mind, and I decided to ask your society for confirmation/correction. I've always thought the loco was Airedale No.1, but something I read a while ago suggested it might be Airedale No.2. If it's No.1, it still survives at Embsay Railway Museum! It's very strange how Barwick references crop up. I'm a volunteer at the Stainmore Railway Company, Kirkby Stephen. Talking to one of the volunteers from Leeds (Moortown I think), it turned out he used to work for Tommy Kirk. I was looking at your site and saw the old photo of 'Airedale' steam locomotive. From my own steam research of The Aberford Fly Line and local coal pits I offer you some info I got from Embsay Steam Railway. The loco is Airedale. 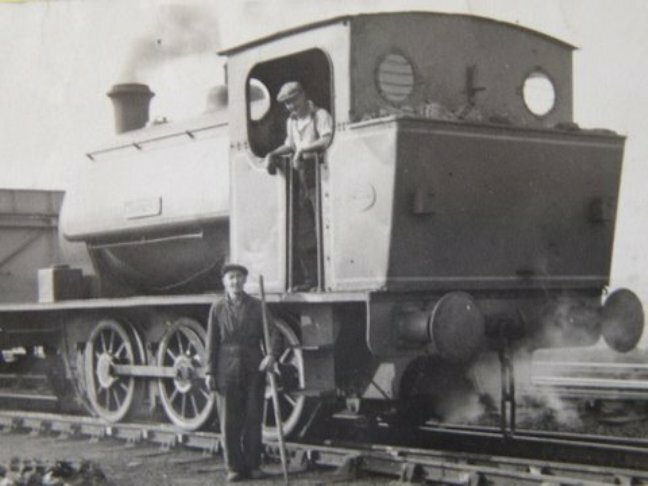 It is the prototype 15 Hunslet Engine and carried Airedale only as its name. Works number 1440 of 1923 and moved from Acton Hall Colliery to Embsay Railway. If you have ideas please please let us know.